» When Do Identical Twins Split? When Do Identical Twins Split? We know for a fact that identical twins develop from an egg that has been fertilized by one sperm. The zygote then splits into two embryos which happen at the earliest development phase. If you think about it, knowing exactly when do identical twins split or why this happens is something worth knowing. If the split happens after the ninth day, the fetuses will share one placenta and one sac, also called as Mono/Mono or Mo/Mo Twins (Monochorionic-Monoamniotic). If the zygote splits within the first three days, then two placentas and amniotic sacs develop. These twins are medically called Di/Di Twins (Dichorionic/Diamniotic). In some very rare occasions, the embryo splits within day 13 to 15. In this case, it is impossible for the twins to fully separate. The tendency then is that the twins will be conjoined. Note, however, that this occurrence is very rare. How does the embryo split? The splitting process is nothing short of remarkable. Once an egg is fertilized, the zygote will collapse and expand a few times as the cells go through multiplication. It is during these little “collapses” that the splitting happens. During a collapse, the cells in the embryo divide into two groups. This allows the two separate embryos to hatch from the blastocyst (the outer protective layer). These two balls of cells then keep dividing and multiplying to form two separate identical babies. Why does the fertilized egg split in the first place? Although there is no quick answer available to this phenomenon, scientists keep trying to find this out. Some attribute the split to environmental factors, but again, nothing is for sure. There are only theories to explain the splitting of a fertilized egg. The first theory is attributed to genetic mutation. Dr. Bruno Reversade has been researching on the variations in the genomes of families, finding signs of a twin gene. Dr. Reversade believes that mutations in a gene might have been present in families with twins. He thinks that this mutated gene prevents cells from sticking together tightly within the blastocyst which results in splitting. The second theory has something to do with a specific enzyme in the sperm. Some believe that an enzyme in the sperm can cause the embryo to split. Another theory explains that the split has something to do with the timing of fertilization. Dr. Judith Hall theorizes that this timing is crucial to twinning. She compares observations she has made between humans and most mammals to explain. Most mammals, she says, would mate when conditions are perfect and when eggs have just been ovulated. On the other hand, humans copulate anytime without being particular with “perfect conditions.” If this happens, an “old” egg that has been fertilized may more likely to split. Can identical twins split after IVF? 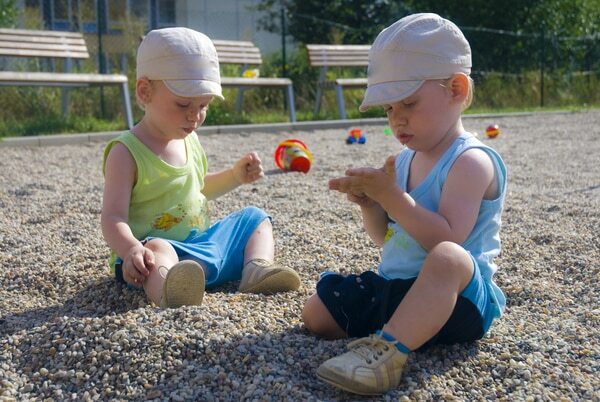 It has been observed that with fertility treatment, identical twins are becoming more common. One theory as to why this is happening is because the effect of ovarian stimulation favors the production of eggs that are more likely to develop into embryos with a higher tendency to split. As the embryos are grown in culture media, this makes the zona pellucida (the outer membrane that covers the embryo) harder than usual which interferes with how embryonic division naturally happens. Others believe that even if science attempts to mimic the natural environment of a woman’s reproductive system through the culture media in IVF labs, it is a fact that there will still be significant differences. These differences include cytokines (growth factors) and higher levels of free radicals. This ultimately results in certain changes to the embryo causing it to split. This is affirmed when Dr. Dianna Payne explained that the imperfect environment of an IVF lab causes some cells to weaken or die. So, with faulty cells present, this could force the cells to repel one another altogether, pushing two groups of cells in the opposite sides of a blastocyst. Is it possible for identical twins to split further? The possibility of having polyzyotic multiples like triplets or quadruplets may result from a combination of monozygotic (identical) and dizygotic (fraternal) siblings. But it is to be noted that monozygotic multiples are definitely uncommon. This is because they require that a single fertilized egg splits into two, and then one of those zygotes splits again producing triplets, or if yet another zygote splits one more time resulting to quadruplets. Such kind of splitting is very rare or close to impossible. Are there anomalies after identical twins split? A known anomaly after identical twins split is the risk of congenital anomalies which is related to chorionicity. Congenital anomalies correlate with premature births, low birthweight, and infant mortality. A research was done through a population of 2,329 twin pregnancies in the Northeast of England between 1998 to 2002. This data was gathered from the Northern Multiple Pregnancy Register and Northern Congenital Abnormality Survey. 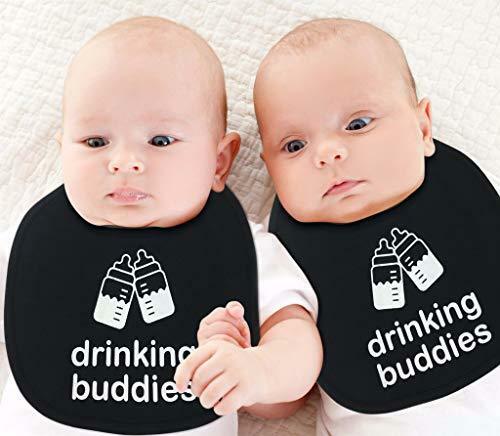 The results of that study reveal that in twins with known chorionicity, the rate of having congenital concerns among monochorionic twins is 633.6 in 10,000. This is almost twice in dichorionic twins with 347.7 per 10,000. It has been thus concluded that monochorionic twins have a higher risk of congenital anomalies. Other known anomalies in monozygotic twins resulting from splitting include neural tube defects and orafacial clefts. Answering the question, “When do Identical Twins Split?” makes us understand the whole magic of identical twinning and the potential risks that go along with it. This is significant information to assure a safe and well-prepared for pregnancy and delivery.